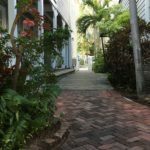 Newbies and return guests to Key West are looking for an authentic Key West experience. The first place to start is … your hotel. I always recommend staying in Old Town. It is centrally located and within walking distance to just about anything. My first choice for a hotel? 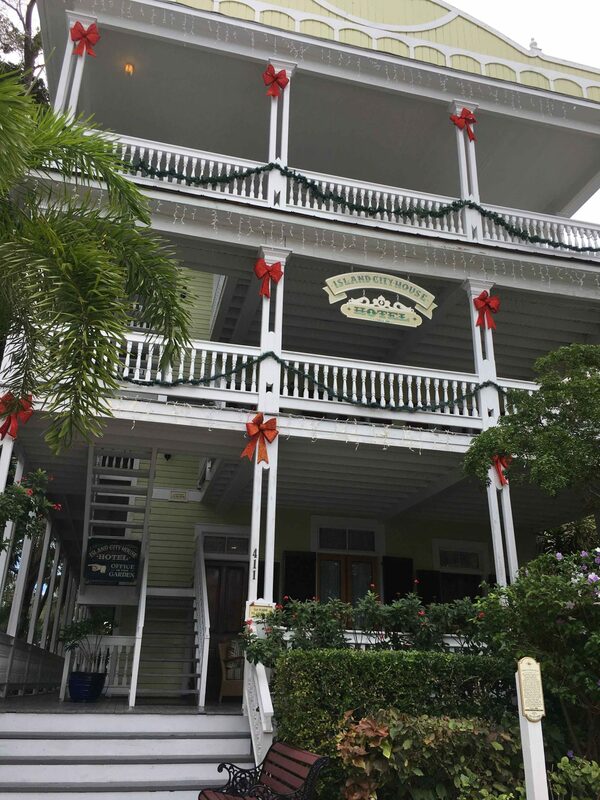 Anyone of the six Historic Key West Inns. All are located in Old Town and have no resort fees, offer a free breakfast and free wi-fi. 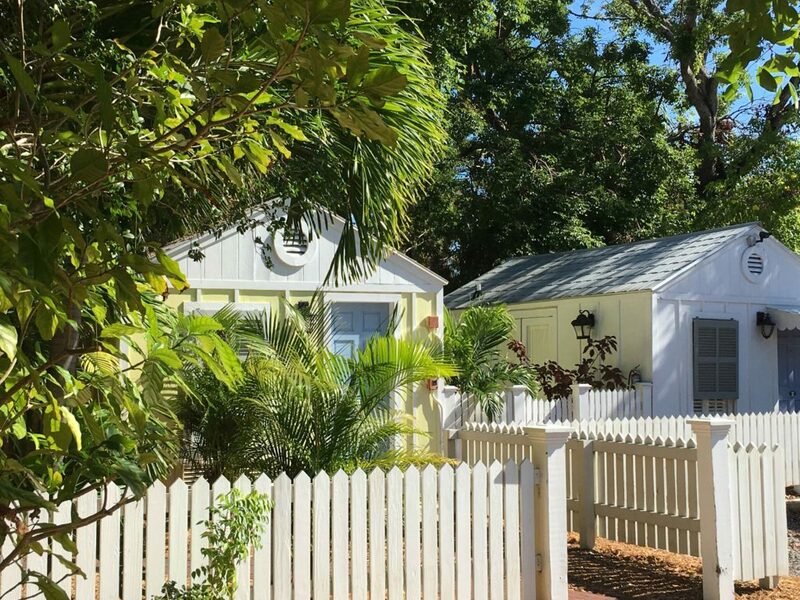 The hardest choice will be picking which one to make your home while in Key West. An interesting note about the Inns is … they are all different. Even though they are part of “family”, each location has its own character and personality. Plus, since each location is converted from historic homes and buildings, the rooms are all different. You won’t feel like you have walked into a cookie cutter hotel. Each room has its own style, which I like. 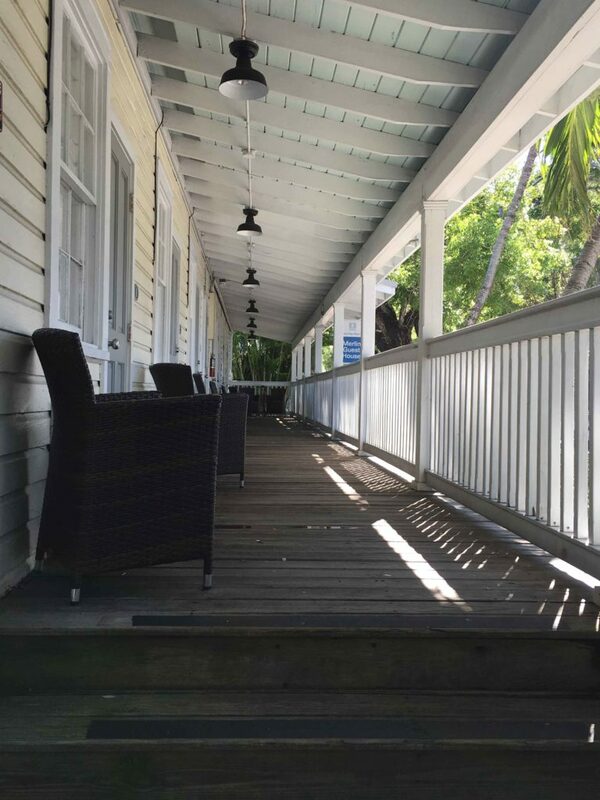 I really does help make your stay in Key West well… authentic. Ready to explore the Inns? Each of the Inns offers a free breakfast. If you are looking for a full menu of hot items, I would plan on going out to one of the many wonderful restaurants in town. 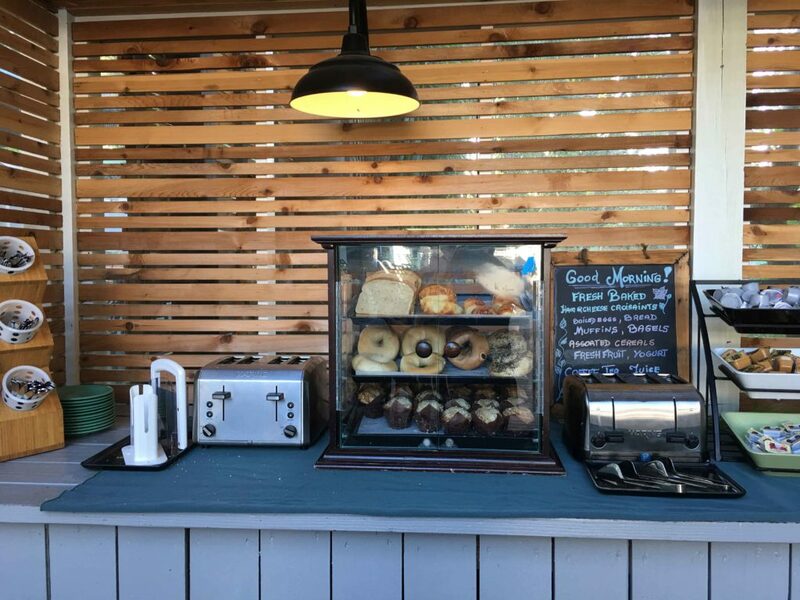 But, if you want typical, and filling breakfast options, then stick around and enjoy a hot cup of coffee and breakfast by the pool. 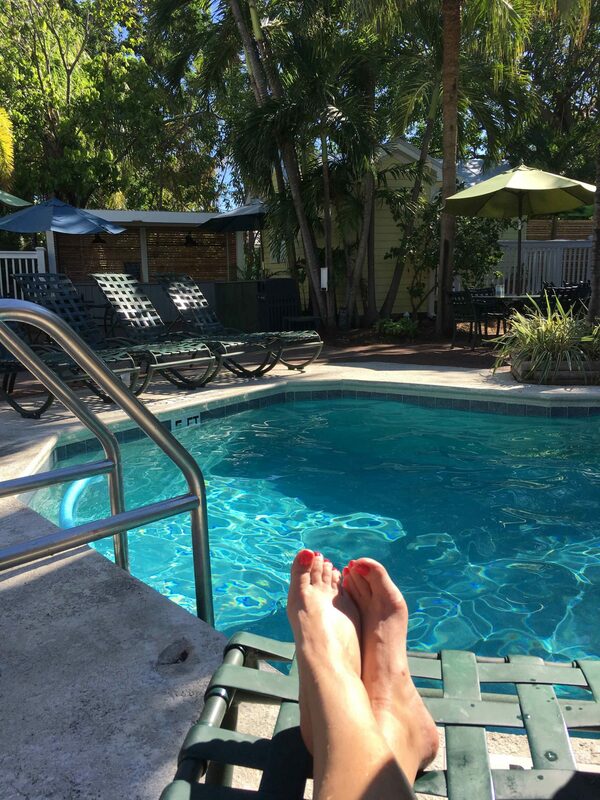 Relax, talk to other guests and plan your day poolside. There is no rush, after all, you are on Island time. Breakfast is served … free breakfast every morning. 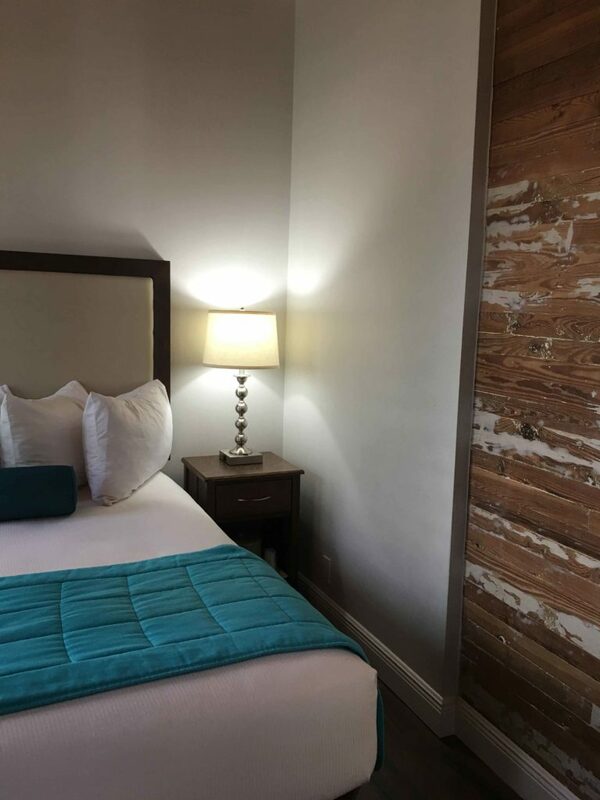 (709 Truman Avenue) This location has 48 guestrooms and a daily rate on-site parking. Located away from the hustle and noise of Duval, it offers a quiet option, while still centrally located. Nearby are great restaurants, wine, and rum bars. 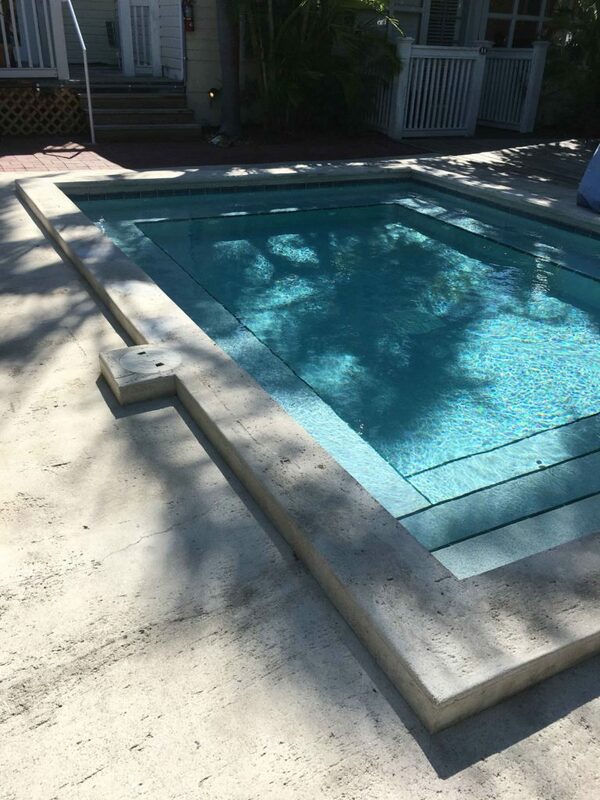 How about this pool? You won’t want to leave! A perfect example of the uniqueness of the rooms. Each is perfectly decorated and offer Key West charm. 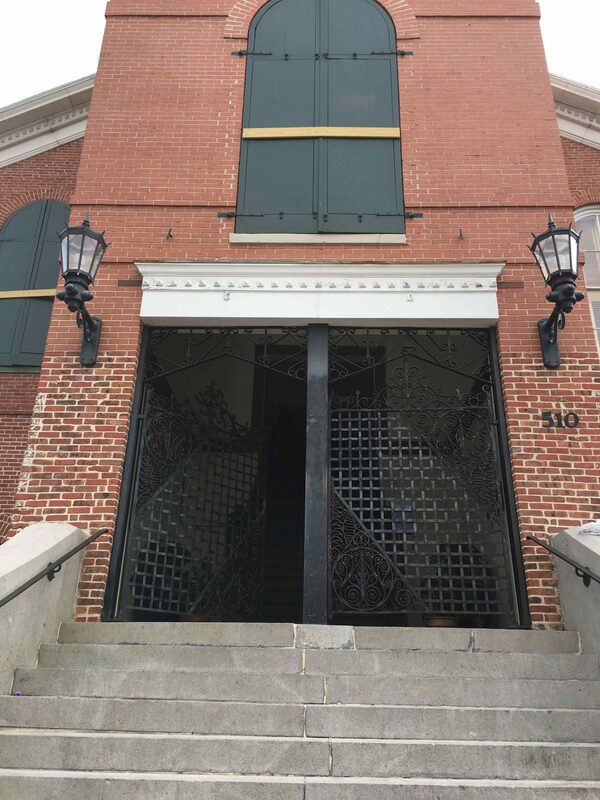 (601 Caroline Street) Located at the corner of Simonton and Caroline Street. This adults-only location offers 23 rooms. There is parking nearby the city pay parking garage. This also is a stop along the Historic Marker Walking Tour. Check out the history of this location here. Another example of the uniqueness of the rooms. 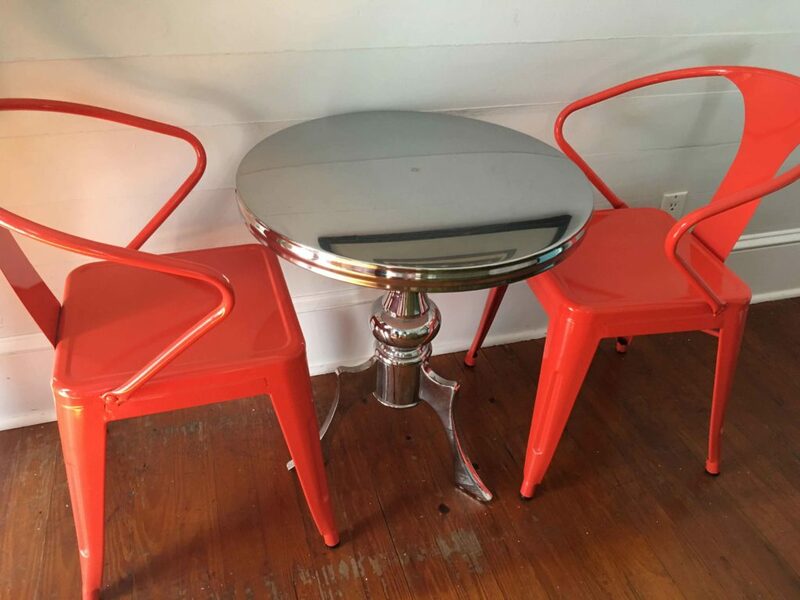 This one offers a cool, retro table and chair set. 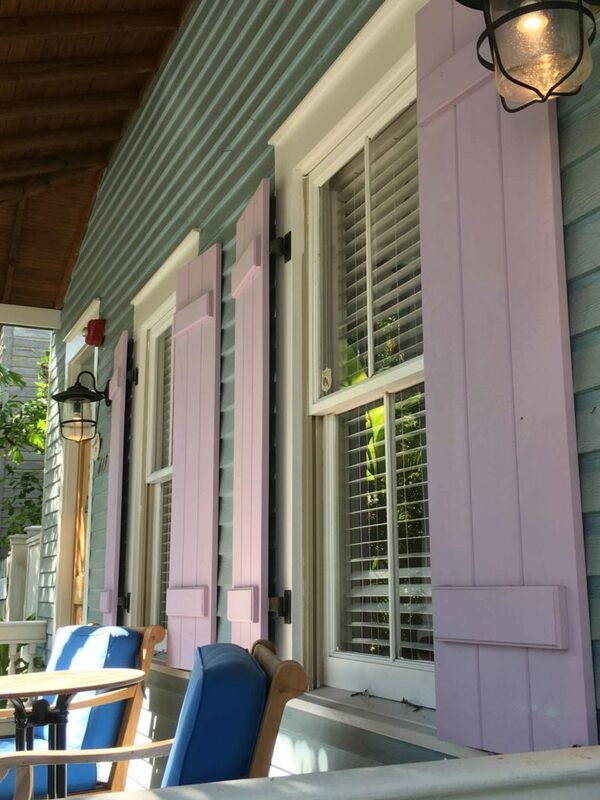 The exterior colors always remind you that you are in Key West. (725 Truman Avenue) This smaller Inn offers 37 rooms and on-site daily rate parking. 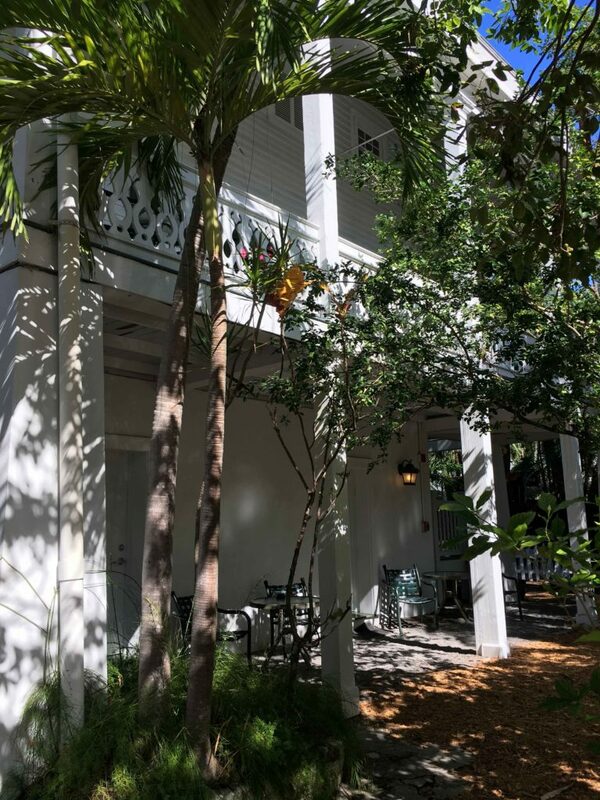 With a few cottages and multiple buildings, this property offers lots of privacy and a unique Key West experience. Step onto the property and you are transported to a peaceful and tropical hideaway. You will want to never leave if you stay in one of these cottages! (902 Whitehead Street). 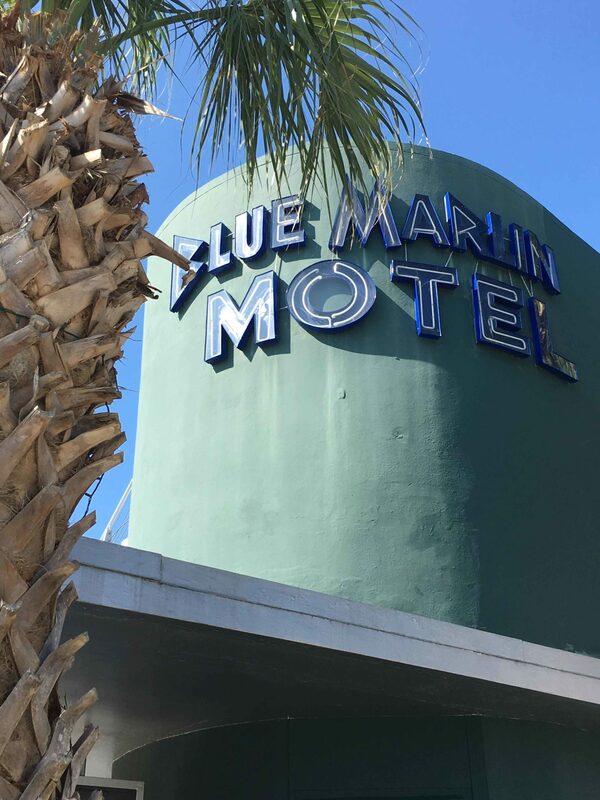 This location offers 45 rooms, off-site daily rate parking and… a Mojito Bar. Sit by the pool and enjoy a cocktail or a cold beer. Not staying here? No problem, come on over and enjoy a drink and take in the view of the pool. This is, by far, my favorite location. 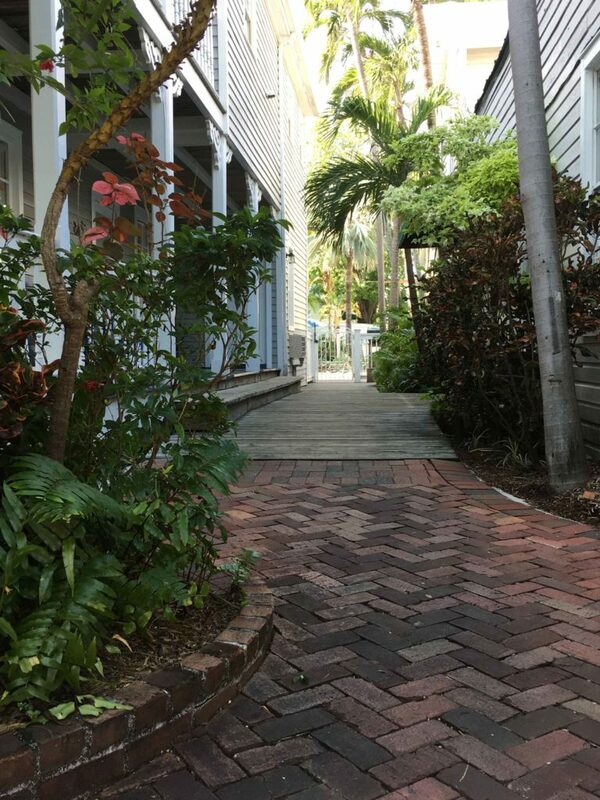 The buildings are spread out and offer lots of privacy and real Key West charm. 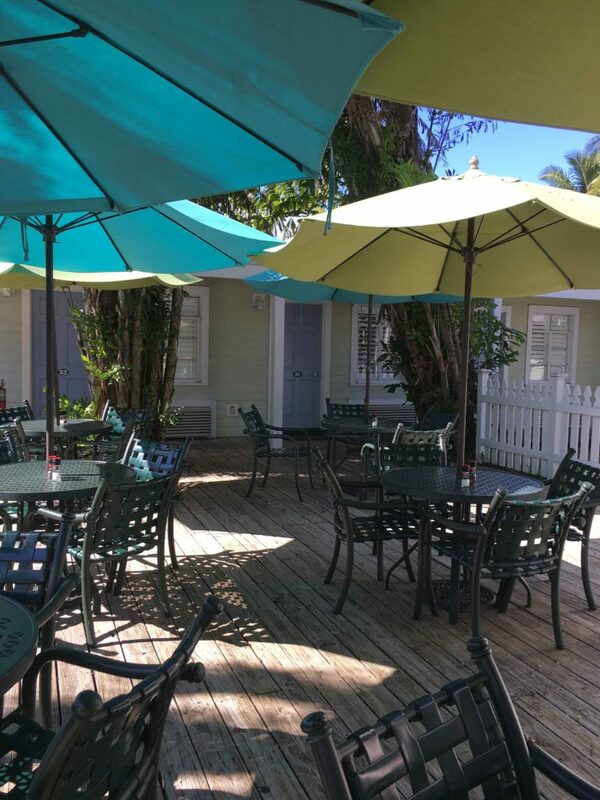 Located across from the Hemingway House it is centrally located to all of the nightlife of Old Town. This location offers an awesome view of the Lighthouse as well. A quiet path leading to the pool and Mojito Bar. 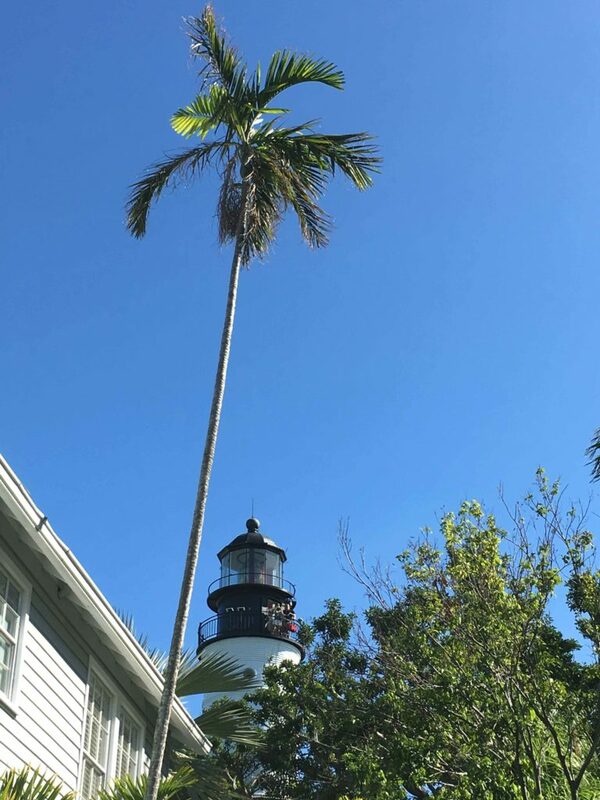 An awesome view of the Lighthouse. 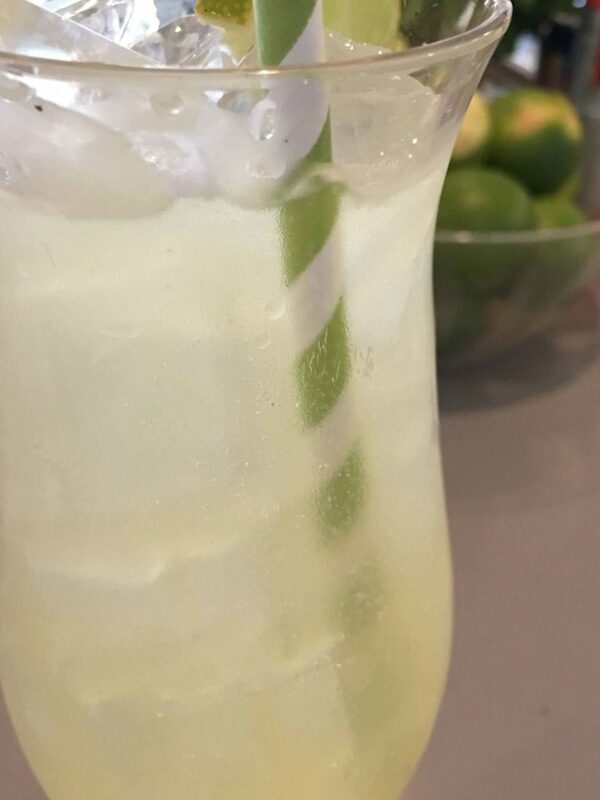 A refreshing cocktail is always nearby at the Mojito Bar. (811 Simonton Street) This is the smallest of the Inns with only 22 rooms and cottages. It does offer on-site daily rate parking. This location has the nightly rental cottages and the extended stay cottages. 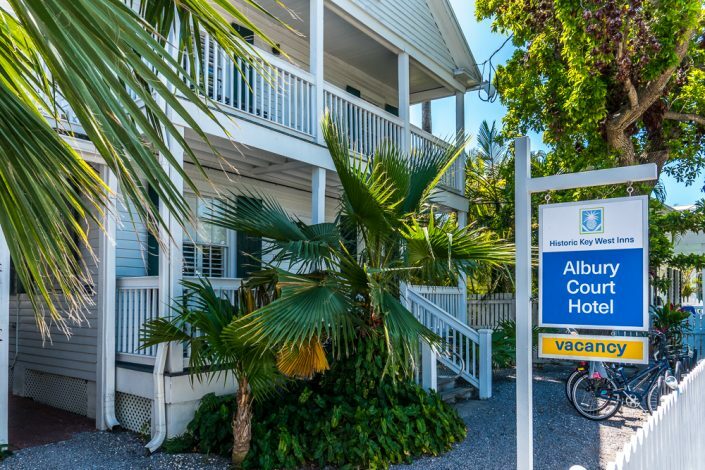 If you are planning to be Key West for a while, these cottages are available for a monthly rental. They offer gourmet kitchens, private porches, private washer and dryer, and a designated parking spot. Ready for a dip in the pool? Sit back and relax on the porch. (1030 Eaton Street) Located near the Historic Seaport, this Inn has 43 guest rooms. Parking is available at the city pay parking garage a block away. 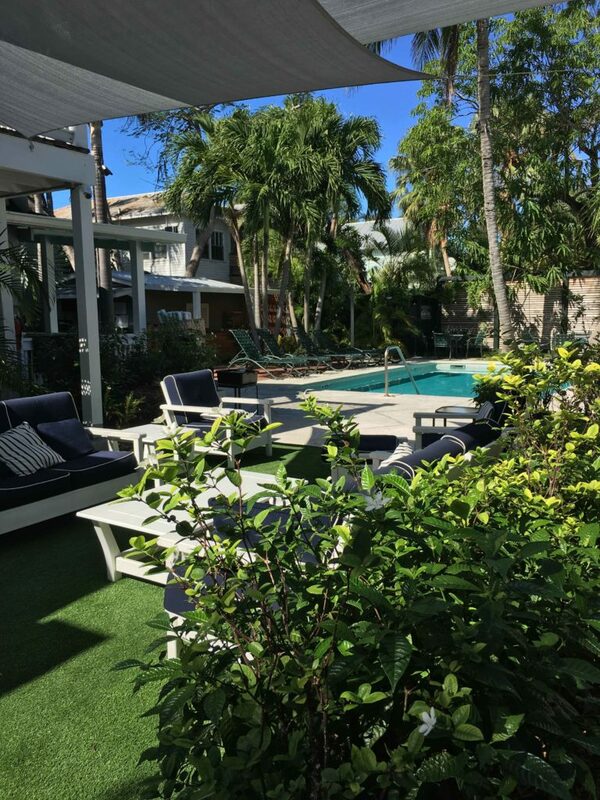 Give us a call and let us help you choose which Inn is best for your trip to Key West.